Dominik Eisenhut ist Senior Legal Counsel bei Airbus Defence and Space in München, wo er zu EU-Recht berät, insbesondere zu öffentlichem Vergaberecht, Offset und Europäischem Verteidigungsrecht. Er lehrt außerdem Europarecht an der Universität der Bundeswehr. The national investment screening mechanisms for the defence and security sector are the Doyen of the existing screening mechanisms, and their bases in EU secondary and primary law are not so hidden. The discrimination of investors on grounds of nationality have some specific bases in topical EU Regulations or Directives, but most importantly in the EU-Treaties themselves: Article 346 TFEU allows Member States to prevent foreign investments on grounds of national security considerations, and that, interestingly, irrespective of a takeover attempt from a company from inside the European Union, or from a third country. Before taking a closer look at Article 346 TFEU as a, to cite former Advocate General Jacobs, “wholly exceptional clause”, I will provide a short overview of the open or hidden barriers to foreign investment in the defence and security sector under EU secondary law. The Merger Regulation is certainly the most obvious secondary act to look at when it comes to investment screening, also in the area of defence and security. At the outset, the Merger Regulation is applicable to the defence industries; no general exception for the sector exists. However, with Article 21 para. 4, the Regulation contains a broad “security exception”, which allows Member States to take “appropriate measures to protect [their] interests” inter alia in the field of “public security”. Such appropriate measures include – confirmed by Member States’ standing practice – the interdiction of mergers in case they are considered to be contradictory to the respective Member State’s security interests. The provision is applicable to intra-EU takeovers as well as takeovers from third country bidders. It has been repeatedly used in practice, often in parallel with Article 346 of the Treaty on the Functioning of the European Union (TFEU). In a recent example from 2017, the Italian government vetoed an intra-EU takeover of Italian (defence) engineering services company Next AST by the French Altran Group, showing that investment screening in defence is not limited to non-EU investors. EU Public Procurement Law, which governs almost all transactions in the defence and security market, itself foresees no direct discrimination between EU and non-EU players. In the dedicated 2009 Directive on defence and security procurements, the nationality of the bidder for a defence tender is not mentioned as eligibility or selection criterion in the Defence Procurement Directive, nor is it mentioned as a factor for the rules on mandatory subcontracting. Recital 3 of the Directive even mentions the aim of fair competition worldwide. However, the Directive does not forbid Member States to discriminate non-EU bidders. In its recital 18 it even explicitly states that the Member States remain free to discriminate between EU bidders and bidders from third countries in their national procurement rules. Moreover, it can be submitted that EU public procurement rules and related secondary law at least indirectly establish de facto preferential conditions for EU-bidders to the detriment of non-EU bidders, for example by establishing mechanisms for mutual recognition of security clearances between EU-companies, through security of supply commitments between Member States, and via the easing of export control procedures between EU Member States (Directive on the intra-community transfer of defence goods, 2009/41). As part of its initiative in the field of its Common Security and Defence Policy, the EU has recently adopted a “European Defence Industrial Development Programme” (EDIDP) in form of Regulation 2018/1092, and is currently setting up a “European Defence Fund” (EDF). Both instruments are tools to co-invest, together with the Member States, significant sums into security and defence technological research and development. While the EDIDP Regulation covers grants for the years 2019 and 2010, the EDF will cover the years 2021 to 2027. Differently to Article 21 (4) of the Merger Regulation and to the Article 346 TFEU exemption, both EDIDP and the draft EDF Regulation clearly differentiate between EU-companies and companies from outside the EU. Article 7 of the EDIDP-Regulation restricts eligibility for funding to “public or private entities established in the Union” which are not “subject to control by third countries or by third country entities” and thus clearly discriminates non-EU grant applicants (even though exceptions to the rule are possible under certain conditions). Not only does the Regulation differentiate according to the country of incorporation of an applicant, but it also ‘pierces the corporate veil’ and declares EU-incorporated companies under foreign control as ineligible for EDIDP. The same regime will likely apply to the European Defence Fund. Article 9 (3) of the current draft states that “the beneficiaries and their subcontractors involved in the action shall not be subject to control by third countries or by third country entities.” In sum, EDIDP and EDF openly discriminate non-EU companies by excluding them from funding under both mechanisms. As it was mentioned at the beginning, most Member States do systematically monitor and screen investments into their national defence industry; in many, the respective laws and regulations also openly foresee the screening – and the potential interdiction – of investments from other EU Member States. Thereby, they restrict the free movement of capital or freedom of establishment under the TFEU. As the required justification for these restrictions, the Member States usually rely on Article 346 para 1 (b) TFEU – if they provide justification at all or do not recur to the merger-specific provision of Art. 21(4) of the Merger Regulation. In parallel or in addition they may of course rely on the ‘usual’ respective exceptions to the fundamental freedoms, such as Art. 65 (1) b TFEU. Until recently, Article 346 TFEU was a fairly unknown and still is a very atypical provision of EU primary law. According to its wording and positioning in the TFEU, it can justify any deviation from EU law of a Member State if this state considers such deviation necessary for its essential security interests. In the past, due to historical reasons linked to the failure to establish the European Defence Community in the 1950ies and the ensuing (mis)perception that the entire sector of defence was categorically excluded from EU-law, Member States have treated their industrial policy in defence as domaine réservé, including restrictions on foreign investments in the defence sector. However, contrary to the hitherto practice of most Member States, Article 346 TFEU needs to be construed narrowly. Member States have to demonstrate in each individual use case that a deviation from the applicable EU law is necessary for their essential security interests. In addition, the measure must not have implications for non-military products and must be aimed at arms, munitions, or war material. The Commission, backed by recent case law from the European Court (see for example C-615/10 Insinööritoimisto InsTiimi and C-474/12 Schiebel Aircraft), has started to scrutinize the use of Article 346 TFEU, and one can see first changes in the Member States practice with regard to the provision. Whereas in the past all EU legal requirements have regularly ‘disappeared’ when it came to their application to the defence and security industrial sector, this is very likely to change. Over the last years, the Commission has become much more active in the sector and has taken a much stricter stance on the reliance on Article 346 TFEU by Member States. For investment screening and intervention in transactions between companies from different Member States, this will certainly have important effects. It will become more difficult for goverments to shield their local defence players for EU-foreign influence. At the same time, and in line with the general trend towards stricter investment screening with regard to EU-external investors, it is unlikely that the sector will open up to foreign direct investment at least from non-NATO countries outside the European Union. The restrictions in this direction of the EDIDP and European Defence Fund are a recent example to demonstrate this. 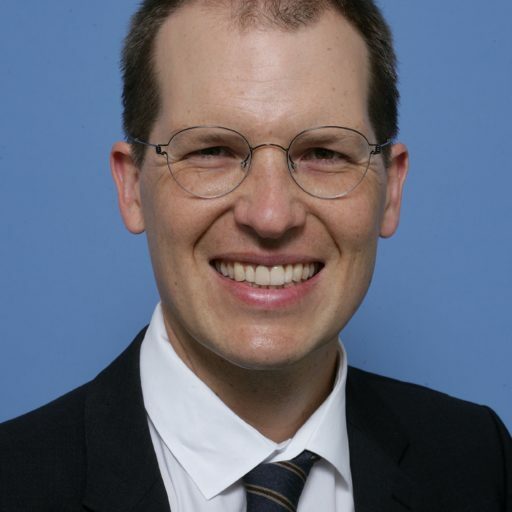 SUGGESTED CITATION Eisenhut, Dominik: Investment Screening in the Defence Industry – News from the Bermuda Triangle of EU Law, VerfBlog, 2019/2/07, https://verfassungsblog.de/investment-screening-in-the-defence-industry-news-from-the-bermuda-triangle-of-eu-law/, DOI: https://doi.org/10.17176/20190211-213409-0.